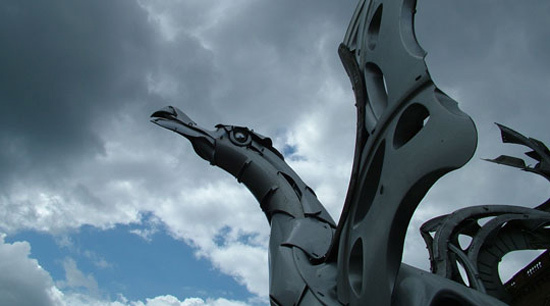 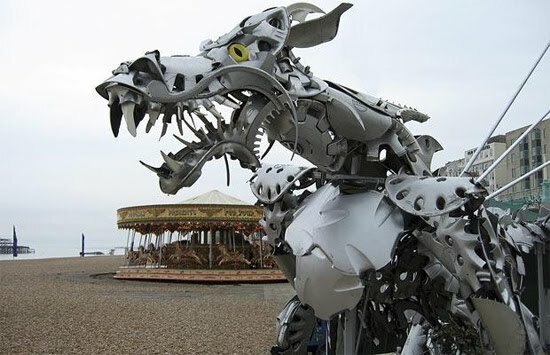 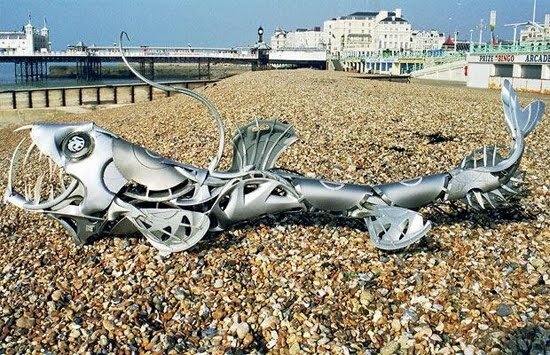 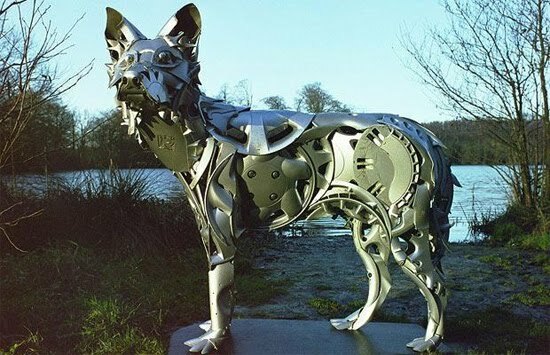 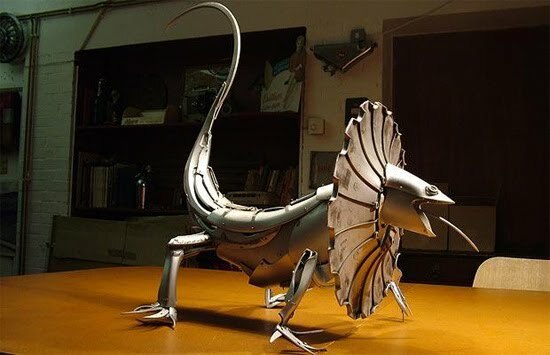 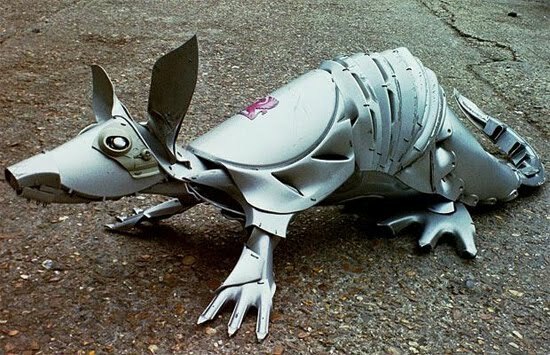 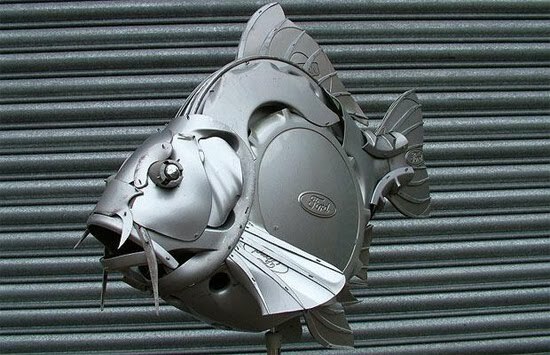 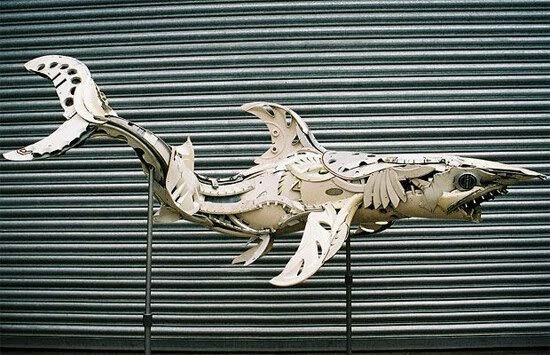 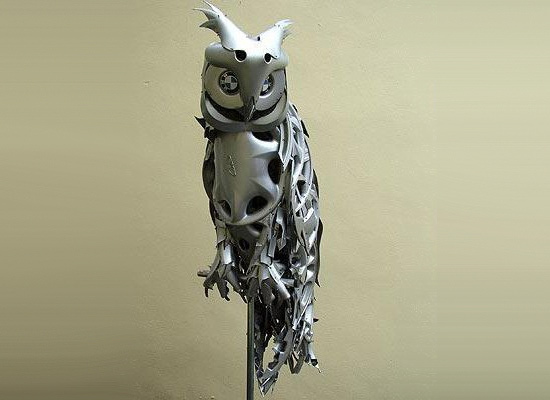 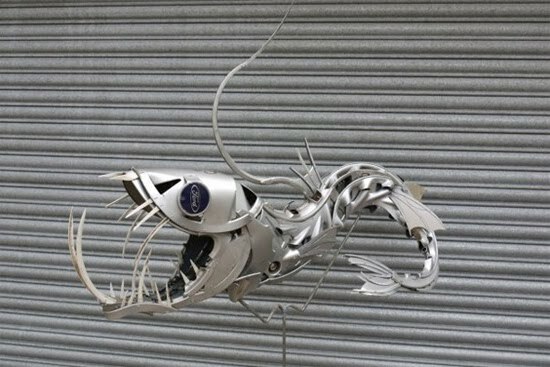 Ptolemy Elrington is 43-year-old artist from United Kingdom who use old hubcaps to make dogs, fishes, birds, dragon and other sculptures with knife and hacksaw. 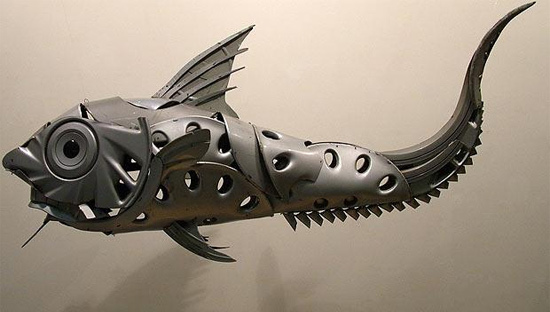 Artist said: "I like to work with reclaimed materials to show that what is one person's junk is another man's treasure". 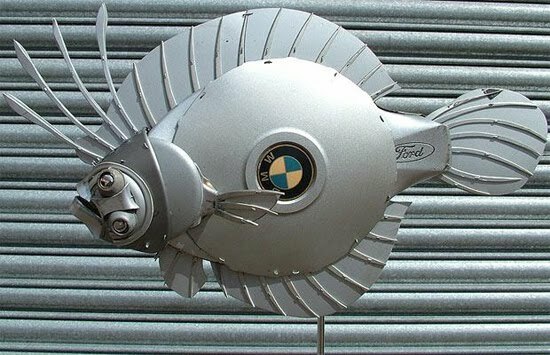 He likes to use BMW and Mercedes caps because of their quality and flexibility. 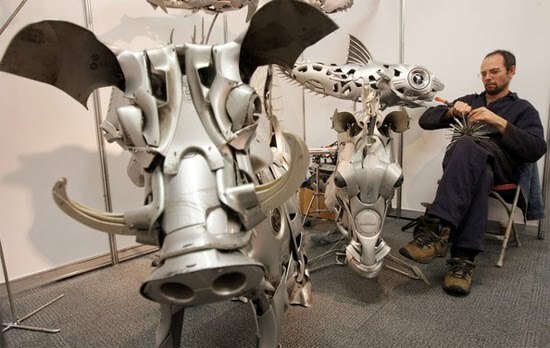 More creative and strange art, hundreds of photographs make up one 3D Sculpture, check it out.